The dynamic coven history of the Coven of the Twilight Moon. ... went great! It was beautiful and fun to share our goddesses with our sisters. 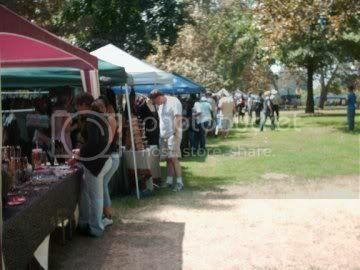 A few pictures were taken, and I'll post them when they are posted to our photobucket! This Saturday is our open Yule Ritual, Potluck and Ornament exchange! If you are interested in coming, email me at barefootwitch at hotmail dot com, and I will add you to the evite! Also, in January, we'll be hosting an open pendulum class! More information on that, later! is now posted at http://www.tangledvines.com/twilightmoon/Newsletter1.pdf ! We have two open events coming up. This month, on the 18th, we celebrate Night of 1000 Goddesses- a Participatory Ritual Event, beginning at 6pm. Gathering (and set-up) at 6pm, Circle @ 7pm. Dress: in whatever makes you feel beautiful! Night of a Thousand Goddesses is a participatory event. Each woman who chooses to, will have the opportunity to honor a goddess during the ritual. Each woman may set up an altar to her chosen Goddess and then during the ritual- tell Her story, evoke Her, make offerings to Her. Learn about different Goddesses and honor them all at this event. We will follow the circle with a potluck dinner. email ivy at barefoot witch at hotmail dot com (without the space) and you'll be added to the evite. 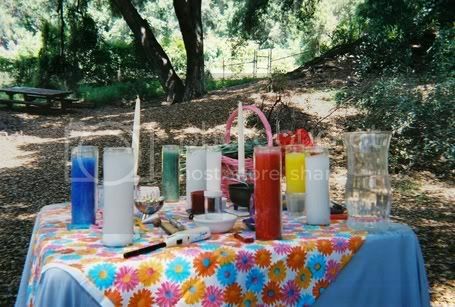 So, its over a month late, but I wanted to blog a bit about our Pagan Pride Day. All went rather well. A couple of our members were very late because of an ailment, but they got there safe and sound. We met at Willows early in the morning, and caravaned down to the site. We got a little lost and drove around a few times before figuring out how to get in. I swear, that happens EVERY year. We got in, set up our booth. Azure did most of the merchandizing and set up, because she's got skills. We were lucky enough to get under the same tree as last year (hooray!). We didn't fare too well, as far as making money was concerned, but neither did many other people. There were too many booths and not enough people. :( However, we had a potluck this year, and brought muffins and doughnuts and sandwiches and sodas. Other booths were jealous! We are sad to say that two of our sisters are leaving the coven... at least for now. If its meant to be, they'll be back and hopefully we'll be able to welcome them with open arms. We wish them happiness, solace, peace, fun, joyfulness, and blessings on their new path. And we'll definitely see them for Yule, and at other social events! Love you!! ... went beautifully! We were sad because one of our sisters had horrible car issues on the freeway trying to get the circle and was not able to make it. Boo. We missed you, Azure!! We decorated our EZUP with ribbons, so we'd be easy to find. Saying "we're the blue EZUP at tri-cities park" doesn't aid people in finding us. There are 56874258 blue EZUPS there on the weekend. :) Anne and Frank got their early and staked us out an awesome place. We had three friends come to our open first harvest ritual, Wiski, Michelle and Dominique, and 2 significant others. This is the fifth open ritual we've done. By 'open', I mean open to friends and family- not open to everyone on the planet. We circled up promptly at 4pm, after playing a little bit of badminton. (which is hilarious- what a game!) We cast circle, called in the quarters and the Lord and Lady. I (Ivy) explained about Lughnasadh, and we talked about making sacrifices to better our lives and make our personal harvests bountiful. We each meditated a moment on that as we passed an ear of corn around, a symbol of the first harvest. After it made its rounds around the circle, it was handed to D, and she sacrificed it into a bowl of silver. A ritual drama was enacted, where Demeter (Willow) was approached by the Crone (Rayne stepping in for Azure), and was reminded of the upcoming winter. Demeter shared her bounty with us, reminding us that though winter/fall is near, we need to harvest what we can to make our lives bountiful. Nahimana then read a meditation, and that was followed by a prayer circle and the cakes and ale ceremony. The quarters were dismissed, the God/dess thanked, and the circle opened. We had a yummy potluck with chicken, 7-layer dip, pasta salad, cream puffs and more! It was really good. Those who weren't there missed out. We had a scavenger hunt to see who won the wheat from the altar. It ended up a tie (we gave 15 minutes instead of the first ones back- Willow and Michelle were first back), and so we picked numbers. We played a little volleyball, fed the ducks with what was left of Demeters bounty and then packed up. It was an awesome ritual and a great day! We've finally got our own little myspace! Each of us have our own, but we decided to get a Coven one for networking purposes. Too fun! Check us out and add us as a friend! We are going to Pacific Circle once again as a group. Its all we've talked about since we went last year. Its so fun to just hang out, go to ritual and meet fab new people. For the msot part, we do our own thing, and we plan our own individual activities... but its nice to join in on the camp rituals and just hang and drum. I'd totally recommend it. We say goodbye to two of our sisters- Ligeiya and Navi, who are both staying close to us, but they've found themselves on a different path than the one we are on. We wish them the best of luck, love and light and "we'll see you soon." :) While Nahimana has gone out on sabbatical, we welcome Azure back from her sabbatical. We missed her so much and we're so glad she's back. The circle definitely missed her energy. We've moved to a new communication format... from the yahoogroups- (we had about 5 or 6) to a message board format that seems to be easier to use. We have a board for those who are friends and family and who would like to be invited to things that the coven sponsors, or open circles. You can find it at http://s8.createphpbb.com/twilightmoon/ . Register, if you like. You'll be able to access the "Open Circle" forum. This forum used to be called Friends and Family, but that was a mouthful. We've decided on "Open Circle," at least for now! ... what happened... or how that post got posted THREE times. So, sorry about that. Its spring! Usually, here in southern California spring is nice and warm. I can't believe the amount of rain we've been getting lately... it will be warm and sunny, then really rainy for a few days. Today its bright, clear and the sunshine is out! I feel as though the weather is a metaphor for the coven. Two of our members are currently on sabbatical until June. We miss them and though we've closed ourselves off from recieving their energy until they return, there is definitely something missing when we meet. We have had some rainy days without them... and I just hope that they find what they need- and I really hope that its back with us. I *know* it will be sunny again! April is almost upon us, and with that, its almost time for Beltane! Beltane is the first of our two friends and family rituals. We host two a year- a small step below a "public" ritual... its more like an open ritual. I don't know if we want to try a maypole again. I did a shoddy job of teaching the dance last year- we were very rushed from not starting on time because of location logistics. This year, we should be able to do more, with more people. Yule went rather well, methinks, and the fact that everyone was involved was great! Its time to brainstorm, and we'll probably do a little bit of that this weekend. Willow led an amazing Ostara ritual. I had a great time and to see how the Coven Plant that we planted last Ostara has grown was so awsome! Our last all coven meeting was really great! We did some energy exercises, drawing it from different sources, shaping it and directing it. I have a picture of Amber and Willow sitting on the ground with a nice big orb in between them. I'll edit this and post it soon. We have a meeting this weekend, too. Dominique will be presenting her final dedicant project on journeying, and if time allows, we'll be doing some more work on energy. Its so nice to be able to go back and concentrate on the basics once in a while. As for myself, I need to update the website. We have a new dedicant, Amber. That will bring our number to eight. We start Wicca 101 tomorrow. This would be our sixth Wicca 101 circuit! Its almost March already! Ostara is coming up so soon! 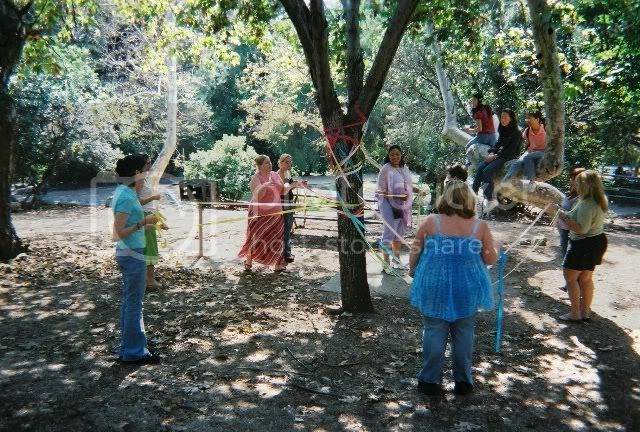 And then its Beltane, our first "friends and family" ritual of the year, and the opening of our Outer Court again. Rayne is beginning work on our coven newsletter, something that we'll be posting here, as well as on our website and our friends and family group. Its something that we all will contribute to! So fun! Its been so long since we've really updated the blog, I kinda feel as though this is a Christmas "card" newsletter! Trying to shove a couple months worth of updates into one post! We had a lovely time last night crafting journal jars at our aspirant mixer. We had one person come who is interested in our Coven. Everyone's jars look great and it was nice just chatting and crafting while talking about the things we do as a Coven and just getting to know those who are interested. We'll be having a mixer this weekend! Writing by members of the Coven of the Twilight Moon. Demeter, we praise and honor you! 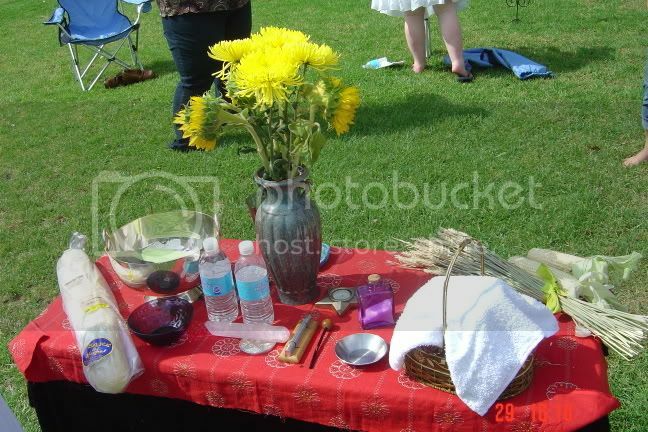 OPEN EVENT: Lammas/ Lughnasadh Celebration 2010!